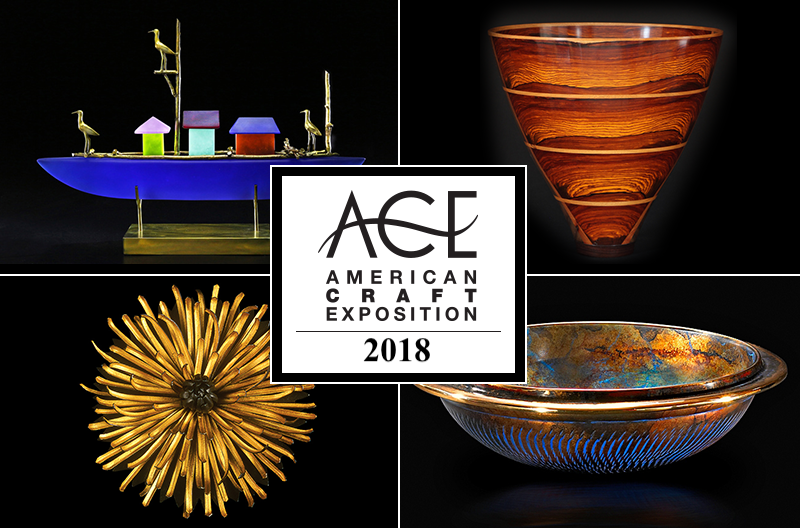 ACE 2018 is less than two months away! Below you’ll find a sampling of some of the wonderful fine craft that you can expect to see at this year’s ACE at the Chicago Botanic Garden. Each of these artists specializes in a different medium, so you can see just how diverse the pieces featured at ACE truly are. Click “Learn More” to see the work of other ACE craftspeople in that medium. 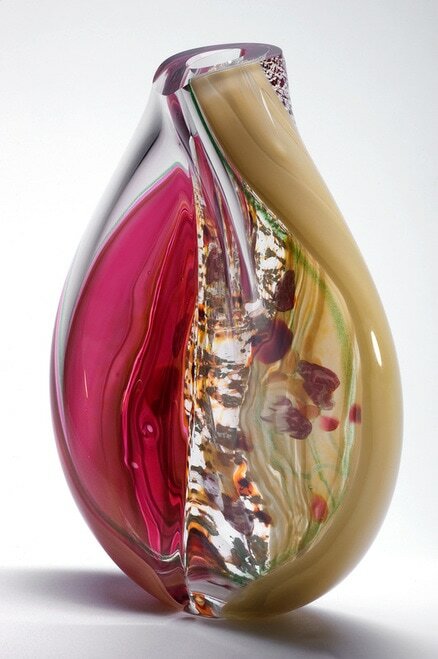 Randi Solin incorporates techniques found in both classic Venetian glassblowing and the American Art Glass movement. However, she approaches her work two-dimensionally, like a painter to a canvas or a weaver using thread to create an intricate tapestry. Layer upon layer of color is built using glass in all particle sizes-powder, cane, frit, and rod-like a painter’s palette, to create original homogeneous coloration and truly one-of-a-kind work. 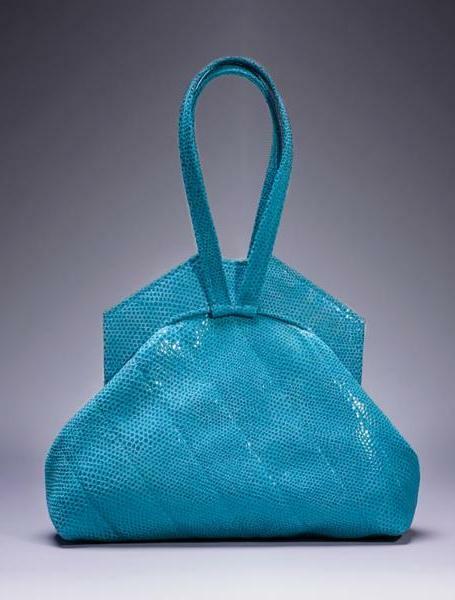 Previously a professor of handbag design at the Fashion Institute of Technology, Michelle LaLonde now crafts one-of-a-kind handbags, which are a rare combination of sculpture and contemporary fashion. Working alongside her husband, Michael, for the past 34 years, the duo has redefined wearable art handbags, with an emphasis on quality craftsman-ship. Each handbag is created one at a time, using traditional fiber methods such as silk-screening, quilting, trapunto, appliqué, beading, pleating, weaving, and embroidery. 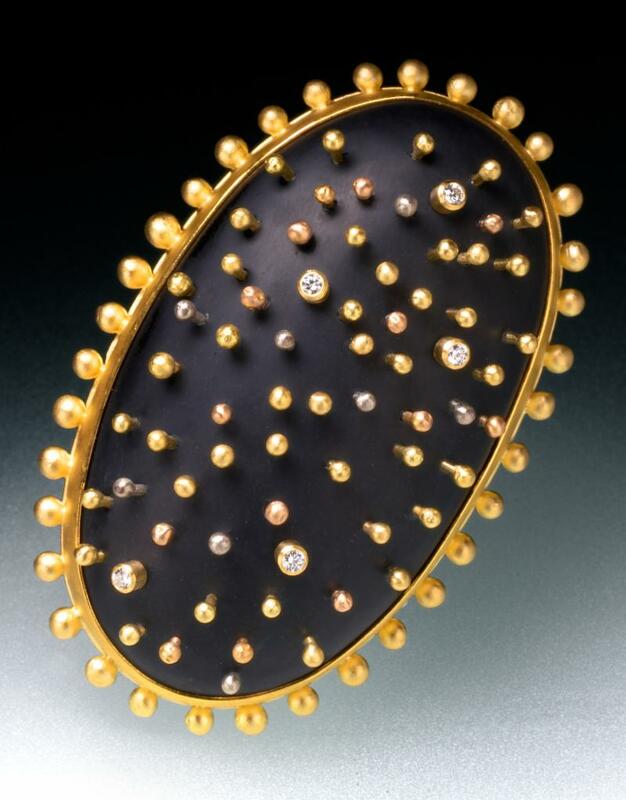 Rob Greene is an independent jewelry designer and goldsmith living and working in Vermont. His designs are inspired by unique precious and semi-precious gemstones. All pieces are hand-fabricated in 18k – 22k gold and platinum, with stones ranging from quartz to diamonds. Greene does most of the lapidary work himself, as well as all of the design and production.